Moscow/Minsk - A private jet crashed late Monday near Minsk, killing the three crew members and two passengers aboard, the Interfax news agency reported, citing authorities in Belarus. The medium-sized aircraft, a British Aerospace BAe 125-800, was owned by the private Russian charter carrier S-Air. The dead included a top executive of the airline. There was no immediate explanation for the crash, which occurred in an uninhabited area. Minsk (Belarus), Oct. 26 : During his four-day visit to Belarus Minister of State for Defence M. M. Pallam Raju held wide ranging talks with Belarus Defence Minister Colonel-General Leonid Semenovich Maltsev in capital Minsk on Sunday. Both the leaders took stock of the bilateral cooperation between the two countries including military and technical cooperation. Minsk - The International Monetary Fund (IMF) loaned Belarus 700 million dollars, with fund managers praising the planning skills of the country's authoritarian leader Aleksander Lukashenko, the Belapan news agency reported Thursday. The IMF credit was the second tranche of a total 3.63-billion- dollar credit programme approved last year by the fund for the former Soviet republic. Minsk - Thousands of Russian and Belarussian soldiers began joint training on Friday on the first day of a planned two weeks of war games and operational exercises. Taking part in the Zapad-2009 manoeuvres are 6,000 Russian service personnel, 6,500 Belorussians and 30 Kazakhstani military personnel, officials at the Belarus Ministry of Defence said. Russian President Dmitry Medvedev and Belarussian President Aleksander Lukashenko were scheduled to visit training sites at a later date. Minsk (Belarus), Sep. 17 : Reacting to the recent attack on Indians in Melbourne, Australia, External Affairs Minister S. M. Krishna said on Thursday that the incidents were unfortunate. He said the Indian Government would take up the issue with the Australian authorities. 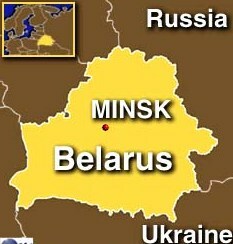 Krishna issued the statement after concluding his two-day visit to the Central Asian state of Belarus. His statement came even as Australian Prime Minister Kevin Rudd warned Indian students living in Australia not to take the law into their own hands. Minsk, Sept 16 : India and Belarus will sign two bilateral agreements during External Affairs Minister S. M. Krishna''s two-day visit to that country. 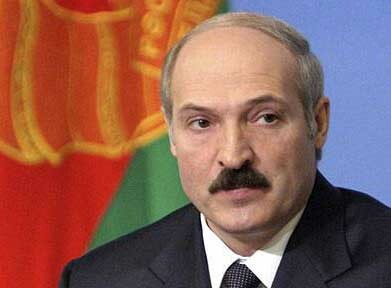 During his visit, Krishna will call on Belarus President Alexander Lukashenko. He will also hold wide-ranging talks with his counterpart Sergey Martynov. The agreements to be signed are one on Cooperation in Physical Education and Sports and an MoU on the Establishment of a Digital Learning Centre in Minsk. Minsk - Venezuelan President Hugo Chavez praised his country's close relations with authoritarian Belarus, state- controlled media in the former Soviet republic reported Wednesday. "There is no limit to our integration!" Chavez said, at a televised meeting with Belarusian President Lukashenko. Chavez and a Venezuelan delegation arrived in Belarus late Tuesday for a two-day working visit. Minsk - Belarusian President Aleksander Lukashenko admitted he fixed the results of a March 2006 national vote, saying he fudged the numbers downward, according to a Thursday interview in Russia's Izvestia newspaper. "At the time 93 per cent of the people voted for me, and so I gave the command for a result of around 80 per cent," the authoritarian leader told Izvestia. Minsk - Belarus's economy is showing signs of a turnaround, but the country's dwindling foreign currency and gold reserves are a major concern, a representative of the International Monetary Fund (IMF) said Tuesday. "We consider this (the shortage of currencies and gold) one of the main problems of the Belarus economy," Marek Belka, senior representative of the IMF to Belarus, said at a meeting with Belorussian Prime Minister Sergei Sidorsky. Minsk - Belarusian police on Tuesday said they no longer were searching for a mystery ape last seen in marshy woodlands bordering Latvia, the Interfax news agency reported. "It was a monkey that got loose from a circus," said Aleksei Gaiko, a police spokesman. "It probably died during the winter snows." Belarusian law enforcement agencies considered the case closed and were no longer searching for the animal, he said. Minsk - The International Monetary Fund (IMF) on Wednesday loaned to Belarus 680 million dollars badly needed to cover a widening budget deficit, the Belapan news agency reported. It was the second tranche of a credit programme aimed at increasing Belarus' gold reserves and creating an emergency fund to cushion future economic shocks, said Anatoly Drozdov, National Bank of Belarus (NBB) spokesman. 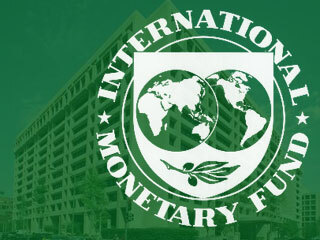 The IMF in January approved a stand-by loan to Belarus with a total value of 2.46 billion dollars, aimed at stabilising the former Soviet republic's economy. Minsk - A group of US Congressmen on Tuesday were in Belarus on Tuesday for meetings with authoritarian President Aleksander Lukashenko. The visit by the US legislators marked a step towards a thaw in relations between Minsk and Washington, which until recently enforced wide-ranging sanctions against Belarus for Lukashenko's poor human rights record. Minsk - Work on Belarus' first nuclear power reactor will begin next year with billions of dollars in financing from Russia, a senior Belarusian energy official said Friday. "We have resolved the issue of financing completely," said Vladimir Semashko, Belarus Vice Premier. "Russia will be providing assistance." Construction of the atomic power station will start in 2010 and end in 2018, with Russia providing 9 billion dollars in financing as well as engineering advice, Semashko said at a Minsk press conference. Minsk - Rising demand in Poland for recreational narcotics is behind a sharp spike in the smuggling of drugs and intermediate chemical substances from Russia through Belarus, an official from Belarus' KGB secret police said Tuesday. Clandestine shipments of psychotropic narcotics manufactured in Russia and ready for use in Poland or elsewhere in the European Union shot up a whopping ten times over the same period, said Valery Nadtochaev, a KGB spokesman. Minsk - The European Union Commissioner for External Relations, Benita Benita Ferrero-Waldner, visited the authoritarian nation Belarus on Monday on an official visit. It was the first-ever bilateral visit by the EU's external affairs commissioner to the former Soviet republic, Ferro-Waldner said at a Minsk press conference. Brussels - The European Union's external affairs commissioner Friday called on Belarus President Alexander Lukashenko to expand democracy in his country ahead of her visit to Minsk. As well as to push for more human rights and greater freedom of the media, Benita Ferrero-Waldner also plans to use her June 22 trip to Belarus to announce 10 million euros (14 million dollars) in EU aid to one of the continent's poorest nations. Belarus leader Lukashenko fed up with Eurovision "rubbish"
Minsk - Belarusian President Aleksander Lukashenko on Friday said he was "fed up" with his country's "rubbish" efforts in the Eurovision song contest, the Belapan news agency reported. "I am really fed up - the hot air, the brawls, and all that," the authoritarian leader complained after singer Petr Efimov's rock-and- roll act failed to reach the Eurovision final for Belarus. This year's contest in Moscow was won by Norwegian singer Alexander Rybak on May 16. 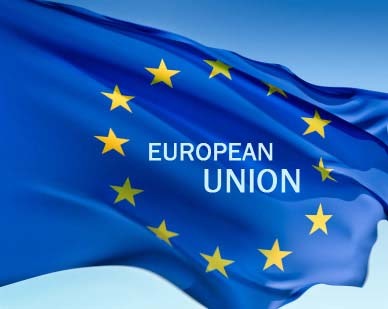 Prague - The European Union's top diplomat on Friday urged Armenia and Azerbaijan to use the "good vibrations" of a newly- founded EU project to help solve their long-running conflict over the region of Nagorno-Karabakh. On Thursday, the EU launched its so-called "Eastern Partnership" with Armenia, Azerbaijan, Belarus, Georgia, Moldova and Ukraine at a summit in Prague. Minsk - Fifteen opponents of Belarusian President Aleksander Lukashenko went on hunger strike on Monday, in a rare challenge to the country's authoritarian regime. The strike would continue until three Belarusian businessmen arrested in February are released or face formal charges, said Nikolai Statkevich, leader of an anti-government political party.